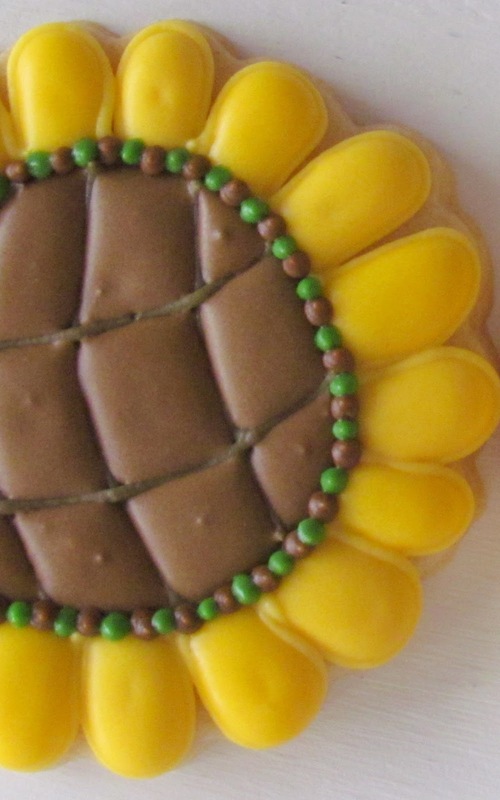 Did you know Sunflowers were first domesticated in Mesoamerica, present day Mexico, by at least 2600BC? Then they were domesticated a second time in the middle of the Mississippi Valley, that's where my friend Lisa, The BearFoot Baker lives!!! ~ Sabías que los Girasoles fueron domesticados en un principio en Mesoamérica, hoy México, cerca de 2600a.C.? Y después fueron domesticados por segunda vez justo en la zona del Valle del Mississippi, que es donde mi amiga Lisa, The BearFoot Baker vive!!! I love to think they follow the Sun, when apparently they only face East... myths are sometimes fun! ~ Me gusta pensar que siguen al Sol, aunque aparentemente solo miran al Este... los mitos son divertidos algunas veces! Let's make the first Sunflower in this set, the Quilted Sunflower! ~ Vamos a hacer el primer Girasol de este juego, el Girasol Acolchado! 1. We need COOKIE made from a Round Scalloped COOKIE Cutter. Outline a center with Chocolate Brown ~ Necesitamos una GALLETA hecha con un Cortador de GALLETA de Círculo Ondulado. Delínea el centro con Café Chocolate. 5. Pipe Chocolate Brown dots around the center border, leaving a space between each dot. Let dry. Pipe Juniper Green dots between the Chocolate Brown dots. Let dry overnight or at least 8 hours ~ Agrega puntitos Café Chocolate alrededor del borde del centro, dejando un espacio entre cada puntito. Deja secar. Agrega puntitos Verde Junípero entre los Café Chocolate. Deja secar toda la noche o por lo menos 8 horas. I invite you to visit the links below to look at all the Flowers and visit these talented friends! 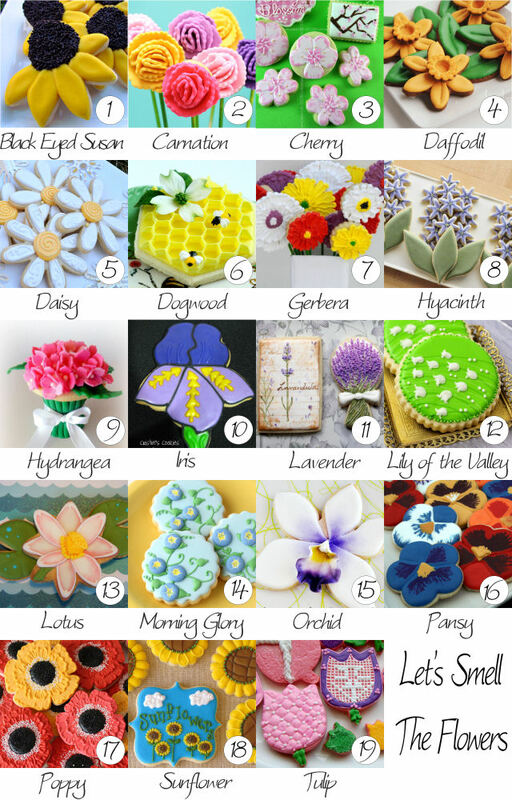 ~ Te invito a que visites los enlaces que siguen para que veas todas las Flores y visites a estas talentosas amigas! Thank you Hani, for making this happen, and thanks for inviting me to collaborate! ~ Gracias Hani por haber hecho esto posible, y gracias por invitarme a colaborar! LOVE these! So cheery and happy, I want to skip through a field of sunflowers now :). 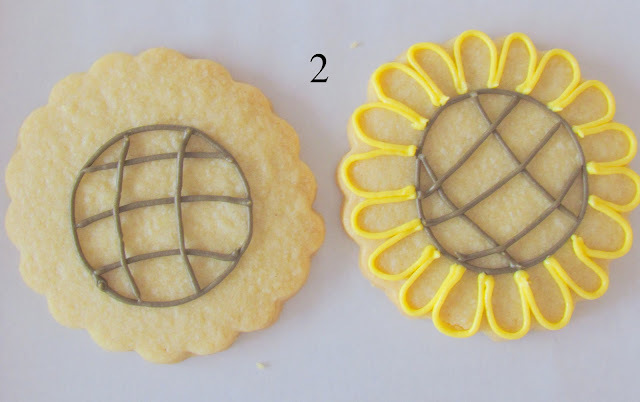 Sunflowers are my favorite flower and your cookie version is beautiful! 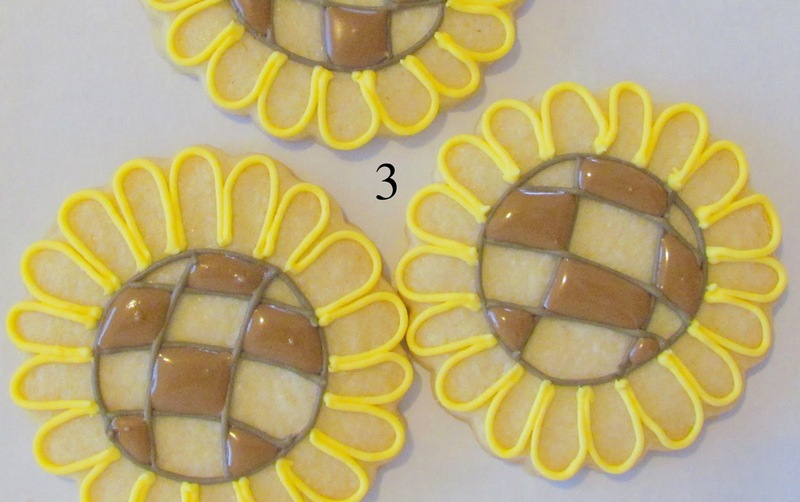 I especially adore the cookie with the sky and flower field! I really want to try it myself. These are so beautiful Bea! I especially love the centerpiece cookie!! Beautiful work!! 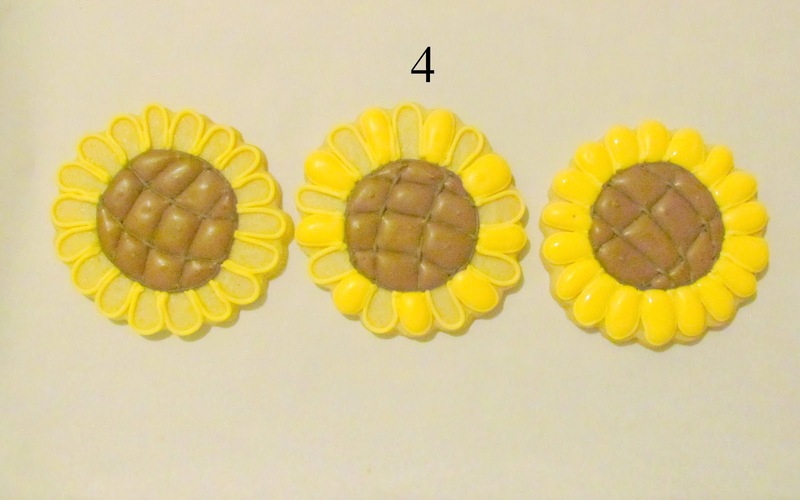 Oh Bea what gorgeous Sunflowers you have made! Love the collection!!! What a gorgeous collection of sunflowers! Love that center cookie plaque! I love your flowers Bea, and the history! Thanks for sharing! Bea, these sunflowers are so cheery & happy. I love them, and I learned something along the way, too. I live in Minot, North Dakota, and I found out when we moved here that ND is the largest producer of sunflowers in the country - who knew?! We have huge, huge fields of these happy-faced flowers absolutely everywhere during the summer! 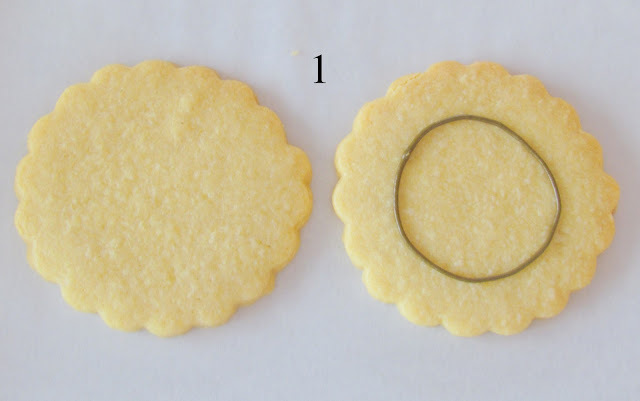 ERes buenísima para esto de las cookies, decoras de lo lindo Bea! !me encanta... a parte sabes combinar los colores muy bien! I did not know that sunflowers were first domesticated in Mexico. I love sunflowers and love seeing fields of them grow on for acres and acres. Your sunflowers are adorable and your little sunflower plaque is such a sweet accompaniment. I love sunflowers! I buy them all the time to put in vases in my office and my kitchen! They are beautiful and so are your cookies! I love the way you quilted the centers and the brown and juniper dots around the center is the perfect touch! I love them!!!! Eee, these are sooo pretty! 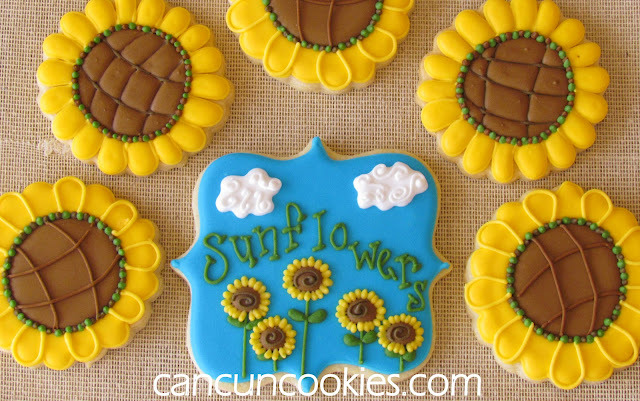 I love the blue 'sunflower' cookie too! Beautiful job, Bea! Sunflowers always make me happy and they make me smile. Smiling Sunflowers! I love the textures and dotted boarder, and your plaque cookies is gorgeous too. Love how blue color breaks it up a little making them sparkle even more. Thank you for making these Bea. Sabes una cosa Bea, necesito la paciencia de Job para poder hacer estas bellezas...eso o practicar y practicar hasta que finalmente pueda tener un resultado aceptable. Y sabes qué, me encanta pensar que el girasol sigue al sol...!!! Es como seguir pensando que la luna es que queso...porque es de queso...!!! 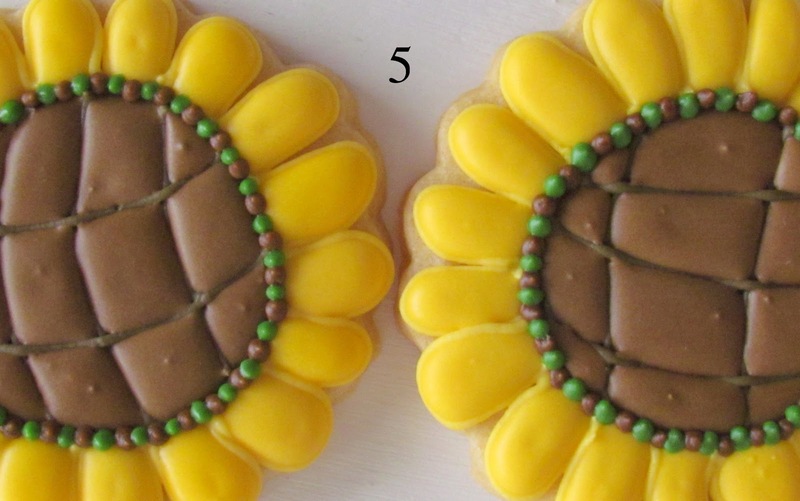 Adoro las galletas de flores y estos girasoles tuyos son una preciosidad. first of all I adore how you capitalize COOKIE! Love it! Secondly, sunflowers are one of my favorite flowers. You did a beautiful job capturing these! I love the dimension and the colors. 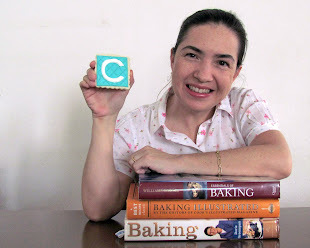 The plaque COOKIE is soooooo sweet! LOVe it! Siii! La Luna es de queso! Mi esposo les contaba eso a los niños... y que un día un ratón tragón se comio la Luna y por eso no la veían... jaja! I'm happy you liked them... and THANK YOU for inviting me to your party! Thanks Glory! I loved your Morning Glories and accents! Wouldn't it be fun??? I'll skip behind you! Thank you, Marlyn... have a great week you, too! Thanks Alison! You are soooo sweet! I have never seen a Sunflower field... I want to see one! Oh Bea your sunflowers are so incredibly gorgeous! I love the quilted look and the dimension your cookies have. I love the green and brown dots around the center edge. I always just do brown dots because I worry that the colors will bleed if I put them too close together. I will have to try green and brown dots as they just pop with fun! Beautiful job and thanks so much for sharing your beautiful quilted sunflower!